If you are a regular viewer of weather broadcasts, you’ve probably heard from the TV meteorologist: “overcast conditions are expected as a warm front approaches from the south.” Or: “showers and thunderstorms will occur today as a cold front slides through the region.” Usually, when a front approaches, cloudy skies along with precipitation are associated with it. But what makes these weather fronts tick? 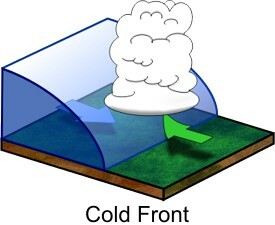 Basically, a weather front represents a boundary between two different air masses, such as warm and cold air. If cold air is advancing into warm air, a cold front is present. On the other hand, if a cold air mass is retreating and warm air is advancing, a warm front exists. Otherwise, a stationary front is present if the cold air is neither advancing nor retreating from the warm air mass. Low Pressure System Graphic Courtesy of NOAA. 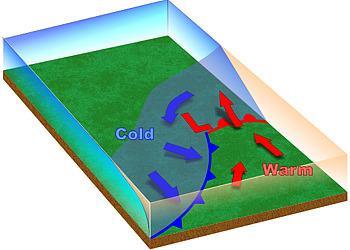 In a cold front set-up, the boundary between the cold and warm air masses is relatively steep (see below), typically causing the warm air in front of it to rise rapidly. This rising air creates energetic, billowing cumulonimbus clouds leading to showers and thunderstorms. After the cold front passes, skies typically clear rapidly and temperatures cool due to the advancing cool air. Cold and Warm Front Schematics courtesy of NOAA. With a warm front, boundary between warm and cold air is more gradual than that of a cold front, which allows warm air to slowly rise and clouds to spread out into gloomy, overcast stratus clouds. Precipitation ahead of a warm front typically forms into a large shield of steady rain or snow. 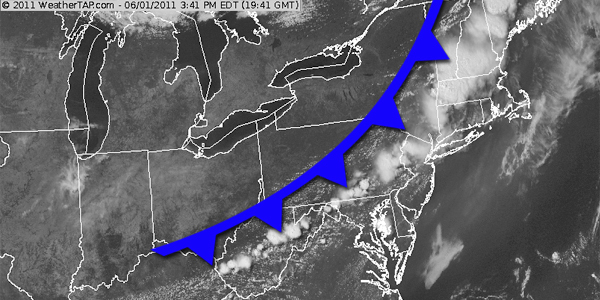 After the warm front passes, fair and milder weather is typical, however, a cold front is likely not far behind. 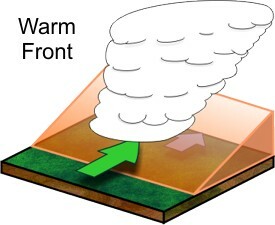 A front’s strength can be assessed by the difference in temperatures between the two air masses or temperature gradient. Basically, the larger the temperature gradient (as in 30s on one side and 60s on the other) the stronger the front is (example of a strong front above). Of course, a stronger front leads to a greater potential of precipitation, while a weak front may only bring a few clouds, a decrease in humidity, and/or a shift in winds. Fronts are also associated with low pressure systems, which you can learn more about here. 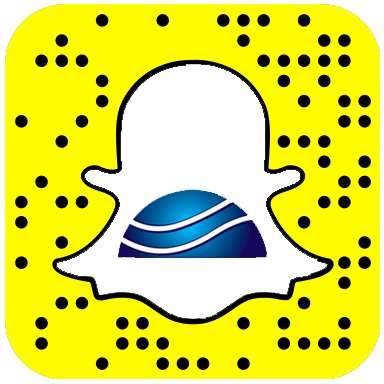 You can always find more weather information from us on Facebook , Twitter , and even Snapchat , so go ahead and stop on by!